This drawing shows just one of the options City Engineer Lynn Burnett plans to present to commissioners for the remodel of the City Field park complex. HOLMES BEACH – The budget process is underway in Holmes Beach, and one thing for commissioners to consider is the possibility of a complete renovation at the city field park complex, located next to city hall. As a part of her proposed expenditures in the 2018-19 fiscal year from monies gained from the half-cent sales tax, City Engineer Lynn Burnett presented commissioners with one of the options for remodeling the park complex. 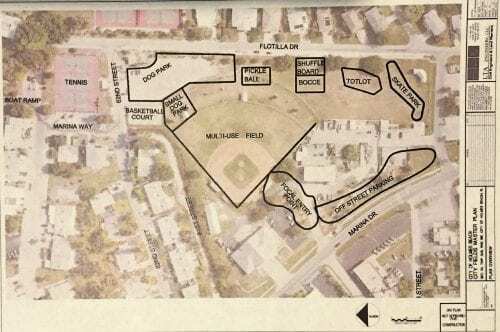 In the proposed option, Burnett suggested placing the large dog park over the current parking area at the corner of Flotilla Drive and 62nd Street with the small dog park behind it. A pickleball court, followed by shuffleboard and bocce ball courts, would be located just to the south followed by the tot park and the skate park, located directly in front of the existing pavilion. 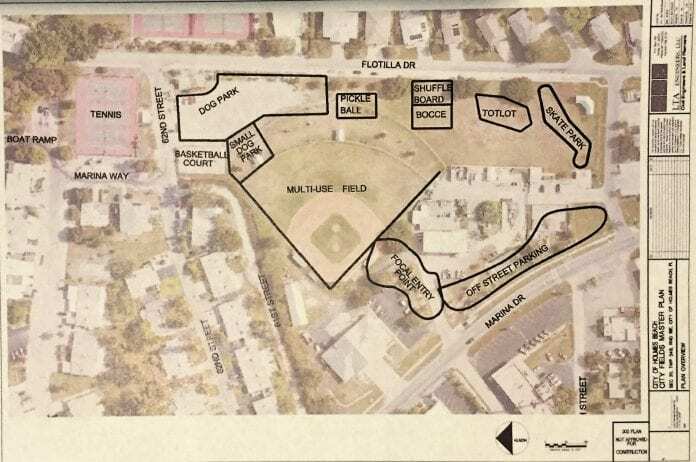 The baseball field would be turned into a multi-use field with off-street parking and a focal entry point on Marina Drive. The plan also includes contingencies for storm debris disposal areas and a staging area for construction projects. For a total renovation of the park, Burnett estimates it will cost around $400,000 and will require more than one fiscal year to complete. In the 2018-19 fiscal year budget, $125,000 is allocated for remodel of the park along with an additional $50,000 earmarked for dog park improvements. Commissioner Judy Titsworth said while it’s important for the city to invest in the renovation of the park complex for the residents, particularly in the dog and skate parks, she’s not sure the initial plan presented by Burnett is the best plan for the area. 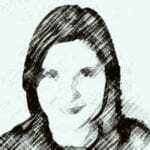 Her concern is that having the skate park located near Flotilla Drive homes would be too loud for residents. Mayor Bob Johnson said the concept presented is just one of the available options, and there are more discussions to be had before any plan is finalized.